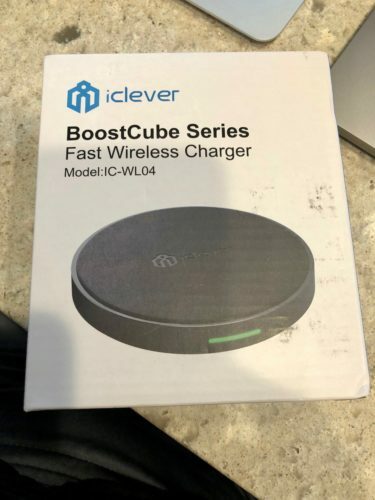 iClever BoostCube Wireless Charging Pad is a Qi wireless charging pad. It will charge any Qi enabled device including the iPhone 8, 8 Plus and X. It features fast charge or 5W standard charge. The description says that the iPhones do not support fast wireless charging, however, as of iOS 11.2, it does. It has a green LED light to indicate when charging your device. A smart chip is also included to prevent over charging or over heating. Packaging for the BoostCube Charging Pad is standard. 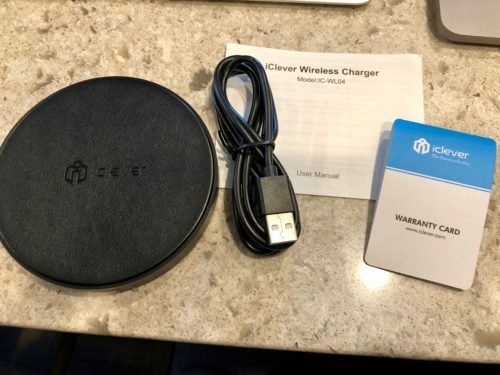 The box comes with the charging pad, micro USB charging cable, warranty card and instructions. Its important to note that it does not come with the AC adapter where the USB cable plugged in to. Most of us should have many extra adapters, but if you don’t you can pick an affordable one on Amazon. Comparing the charging pad to others in the same price range is challenging. Charging pads have one function, to charge your device. If it charges with no issues, then it’s working. The standout with the BoostCube Charging Pad is how good it looks. It has a nice surface that almost looks like black leather with the logo in black. The logo is elegant and doesn’t ruin the look like some of the other charging pads. The green LED charging indicator works every time and looks good doing it. 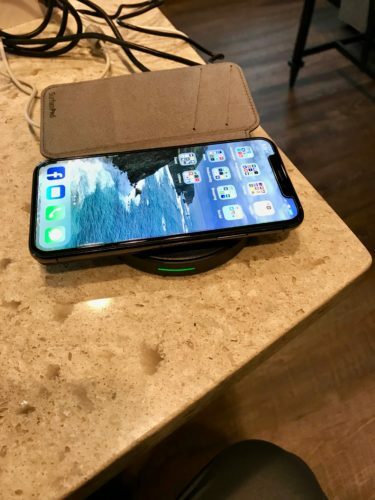 I have a fairly thick leather case on my iPhone X and it charges through the case with no issues. 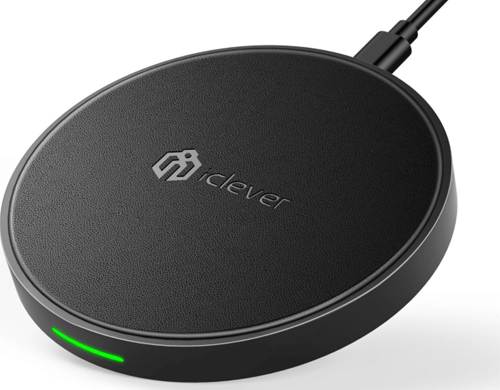 For the price, even with the lack of an included AC adapter, this is a great charging pad. 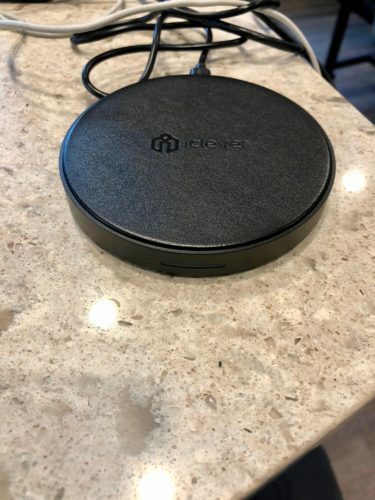 By the way, you can never have too many wireless charging pads around the house. MyMac Review Rating is 9 out of 10. Good looking, functional and inexpensive makes this a good choice.